Since the beginning of farming, fertilizers have come a long way. Most of what we put in the soil these days is a combination of synthetic compounds and chemicals which are inorganic as such causes more harm than good to us. The good news is that there are a lot of organic options to fertilize our soils and have a blossoming healthy yield. In my former post I did list and explain some good ways to have a healthy and rich harvest which included Epsom salt, composting with leaves, ash, banana skin and finally burying whole eggs and eggshells see post here for more details, for this article I will center on fish and fish wastes as soil fertilizer which offers an organic solution and effectively provides nutrients to the soil for a blossom harvest. Interestingly, the thought of fish as fertilizer causes some of us into gardening to block our nose as some of the fish products do come with unpleasant after smell to our nose but they do have a lot of benefits to the garden and crops making us to have a health food source . Hundreds of years ago, before scientific soil research began in earnest; Native Americans understood the benefits of fish as fertilizers. 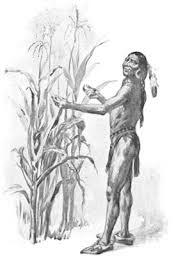 It was recorded that Native American like Squanto showed pilgrims how to use fish (Herring) to fertilize their crops. As the stories goes, each kernel of corn planted was placed into the fish mouth and the corn planted together with the fish. 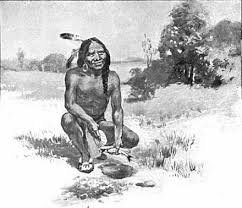 Also some indigenous folks placed a small fish in the soil and mounted fresh dirt on top the fish thereafter planted a seed of corn. As the growing season lasted, the fish slowly decomposed as well as constituting a steady feeding source for the crop until time for harvest. From current findings, it is evident that the Native Americans were right about the nutrients in fish as there are so many benefits of using fish as fertilizer. 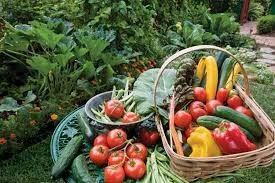 Producing the best vegetables you can does not mean you have to be the best gardener around; however, being aware of some basic skills will make the experience fun and easier. Many gardeners belief burying fish helps your vegetables plants to blossom. The different parts of fish like the guts, heads, bones etc have many useful nutrients. As the protein breaks down in the buried fish, it releases a lot of nitrogen, minerals and vitamins beneficial to the growing vegetables like tomatoes, peppers, and cucumbers etc. the proteins aids growth of foliage and root and also promote vigorous blooms thereby ensuring you have a good harvest. It should be noted that many species of fish can be used however the most common ones that we can use as plant fertilizers are sardines, herring, trout and salmon. Whichever one you decide to use, ensure you bury the fish well before planning your crop so that the decomposing process will not be drawing nutrients from the soil while also the plant is trying at the same time to get the soils nutrients. Mainly, what is used as fish fertilizer is junk fish, scraps or those fish that we do not usually consume due to high levels of toxicity. Eg, menhaden spend a great number of their lives in water contaminated by metals; as such they make perfect fertilizer for plants and not the perfect meal for humans. Due to constant issues related to animal pests like Racoons and Rats digging up your buried fish fertilizer, you have to adhere to ideal dept of 1-1 ½ feet down, beside or under each plant, however some gardeners has no problem burying only few inches down. More so, to keep off some animals from digging up your fish fertilizer, sprinkle cayenne pepper around the plant. If you have access to many fishes, you can freeze some of the parts you do not eat like the heads, scales, guts etc and use those parts as fish fertilizers. 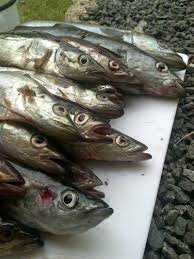 You can also wrap and bury the fish in newspapers or even bury while frozen as such they are well under the surface before melting and releasing foul smell. If you find the brand to use, it can be 100% organic if you fertilizing by yourself. The release rate is slow for fish fertilizers than other types of fertilizer as such you do not need to apply it often. There are many advantages of fish fertilizers for humans and plants as it aids in ensuring we get a good organic harvest beneficial for us. It also benefits the mini eco system which is your backyard. It is just one of the best ways to grow quality crops and a way to help renew much needed nutrients in the soil. Natural fish fertilizers are processed differently in the soil since they contain nutrients which must first be digested by organisms like bacteria, earthworms and fungi before being available for use by plant root. All these microbial activity improves the strength and vigor of plants as they increase the number of organic matter in the soil. Nutrients are broken down by fungi and bacteria which makes them available to plant root, loosen the dirt as they travel, reproduce and process much needed nutrients for the plants and decay thereby ensuring soil are aerated with increased level of organic matter. Fish fertilizer increases fertility of soil and improves the soil health by providing the primary nutrients necessary for plants to blossom. It offers a natural source of burn free nitrogen, plus other primary nutrients like phosphorus and potassium. Unlike synthetic fertilizers, fish fertilizers may also provide secondary nutrients such as calcium. Plants that get a balance of both primary and secondary nutrients experience strong and steady growth which results to stronger plants that can better stand issues related to pest and diseases. While fish fertilizer has a lot to offer, there is also a downside. If you decide to use Fish to fertilize your soil, you have to be aware of some downsides to it. Firstly is the smell which can be well manageable unless you have the most sensitive nose in the world. Another issue is the sustainability of certain types of fish used and also over fishing. Many gardeners are using fish wastes and scraps more so you can find the right organic fertilizers to buy by doing some little research. Toxins in fish from polluted water can also be a source of problem. Many of these toxins comes in the form of metals and may even contain mercury. The fish at the top of the food chain are those likely to be contaminated. However, plants that are not consumed will constitute no problem however you still need to run some background checks to ascertain what you are putting in your soil. Since we are all aware that our health is our wealth, we should be mindful of what we consume as such we should ensure our crops are grown in a healthy and safe way. Every plant need fertile, biologically active soil to grow. Fish fertilizer can offer an organic way to provide much needed nutrients for healthy plant growth. From this article we learnt of many types of fishes to choose from and we can even use the fish wastes we normally do not eat. More so, in this article, I pointed out some things to look out for like the smell and some toxic fishes with too much metals which may be harmful to our crop as well as our health and to bury deep or sprinkle cayenne pepper around the plant to put away the animal pests that usually will want to dig out the fish in the soil. However, as you ready your soil for next planting season, do consider adding fish fertilizer to enrich your soil which is a very good source of organic fertilizer for a rich and healthy yield. Do good to someone by resteeming this vital tip, upvote to show your support and follow for more articles to come. 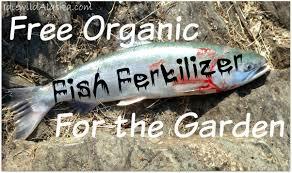 Do send in your comments on your experiences with using fish as organic fertilizers and or which method works for you. Great information! I use a liquid fish emulsion as fertilizer and it stinks bad but so worth it! It works great! Nice fish lecturing here, thanks for sharing, upvoted. My tomatoes LOVE fish! Thanks for the well thought out post @kenhudoy! I have always just ordered fish emulsion, but now I want to try something more basic, a fish. Awesome. I love growing food! Growing our own food is just awesome and to do it organically is the only way to go!!! Interesting information, once in my house water used washing fish after cleaning used to water the plants. Excellent article!!! I have been using a commercial product Alaska Fish Fertilizer. It also helps to keep the deer away from consuming my plants because of the smell. I have since started burying all fish remains in the garden instead of throwing them in the trash. Better for the earth!! Your welcome I appreciate the effort and research you put into the article! I have added fish to my garden and will add even more now! Returning to the earth is powerful. We need to keep the cyle and design going as organic as possible! Will read your other posts as well!! good choice as i updated today also.. These benefits are very important to our lives. Thanks a lot! This post has received a 17.06 % upvote from @booster thanks to: @kenhudoy. Thank you for addressing this. Mercury was the first thing that came to mind when I started to read your piece. Great read. Thanks for sharing. Upvoted. Awesome post on organic fertilzer using fish..am sure that the place will not smell great initially however the soil will be very fertile later and thus great foods will be grown there. Congratulations @kenhudoy, this post is the third most rewarded post (based on pending payouts) in the last 12 hours written by a User account holder (accounts that hold between 0.1 and 1.0 Mega Vests). The total number of posts by User account holders during this period was 1615 and the total pending payments to posts in this category was $3511.40. To see the full list of highest paid posts across all accounts categories, click here. 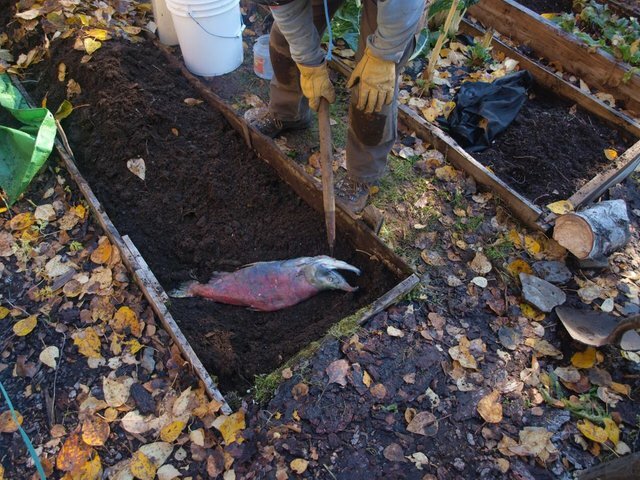 Always thought it'd be better to at the very least chop up the fish vs. burying one whole...just for the increased surface area as far as decomposition! Thanks for this amazing piece of information my friend! I never knew this before, this can be a great thing for those having a nice area for planting. 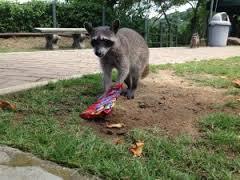 Of course I will have a read soon my friend, i'm just little busy these days, i'm even late in replying to comments. Once I'm back to normal track, will surely check it out as it really interest me this subject! automatic upvote for you as always @kenhudoy! great! I will give it a read @kenhudoy! This is quite cool. Fish isn't very plentiful where I am, but it's a neat idea for natural gardening! Thanks ken. A smart person once told me some fish are better to eat than others because they have less mercury or something. Thank you for your kind words! Because fish smells bad it probably has a lot of microbes or something. Updated on it...check it out.. I've heard fish heads under tomato plants are good, I'm guessing because of that calcium boost then. I feed carp to our chickens because it's an unwanted fish here in Australia. I don't know if it's as good if it's gone through the chickens first, but my hope is that the chickens benefit first, then the plants afterwards when the composted manure goes onto the garden. Good option also if you have fish tanks...you can as well use... I updated on it... Check it out..
good one dear... lets keep it real and steeming hot! Thanks for sharing! I'm using this liquid kelp fertilizer, which I keep forgetting to use. I'll make a note to use it tomorrow when I water: done. Next year we'll use the Native American method -- although my folks told us about having done that one year long ago, and every plant was uprooted by critters trying to get at the fish. Likely, they didn't plant down far enough.